SHOW VEHICLE & DRIVER DISCOUNT AVAILABLE AT £5! 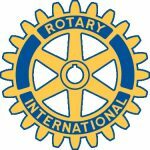 Sunday 18 August 2019 will see The Rotary Club of Tewkesbury stage their popular Classic Vehicle Festival at Tewkesbury School Playing Fields. The event features a spectacular display of over 1000 classic vehicles, from the dawn of the motoring era, to pre-war, post-war, American classics, custom cars, hot rods, supercars, motorbikes, those of historic and engineering significance to mass produced retro run-abouts. It’s not just cars either . . . over 200 classic motorcycles will be on display, with all the major marques represented, plus live vintage entertainment courtesy of the Haywood Sisters, dancers, 110+ quality trade stands selling everything from car accessories, autojumble, memorabilia to jewellery and crafts, plus a bar, dance floor and a wide selection of catering. The annual event is a must-do on the classic car show calendar. It’s a superb family day out, whilst raising vital money for worthwhile causes! To commemorate 50 years of the cult movie ‘The Italian Job’ we are delighted to announce a special Open Air Cinema Night on Saturday 17 August to be held the night before the popular Classic Vehicle Festival. Pack up your deckchairs and join us for a fun-filled evening’s entertainment watching the 1969 film ‘The Italian Job’ starring Michael Caine and Noël Coward. The cult classic is often considered as one of Britain’s greatest ever comedy capers famed for its endlessly quotable dialogue and of course that famous car chase! For the latest information on Tewkesbury Classic Vehicle Festival, fill in the form below.